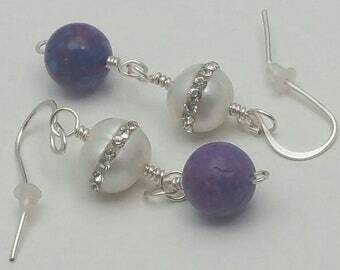 Genuine Arizona Turquoise large nuggets and 8-10mm Freshwater Cultured Pearls. 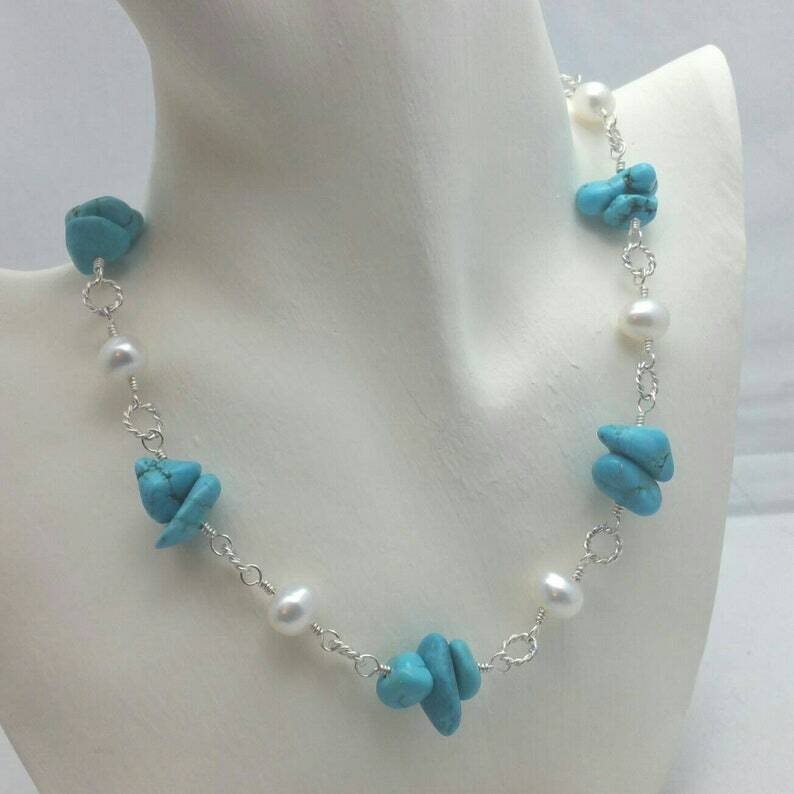 Turquoise Necklace, Pearl Necklace, Entirely Handmade Link Necklace Jewelry 18 Inch and 4 Inch Extender. Hand wire wrapped links are available in either 925 Argentium Sterling Silver, in our very special non-tarnish 999 Fine Silver over Copper Artisan Alloy or Non tarnish Solid Copper. 18 inches in length plus a 4 inch extender. Entirely Handmade including hand twisted Rings and Clasp. Minimum 45 grams (225 carats) AA Grade Turquoise. The Special Non Tarnish Solid Copper will not tarnish or turn your skin green under normal wearing conditions. Designed and Handcrafted by Artist Mark Tunis. This Turquoise was purchased from a private party that was retired from the mining industry in Southeast Arizona. Since I cannot authenticate it as Natural but only as Genuine, I must assume it has been stablized during polish tumbling and advertise it as such. 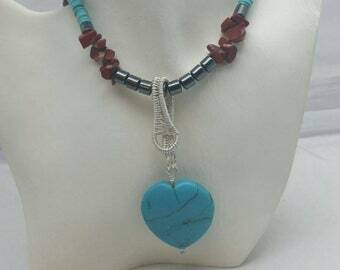 Each Necklace will slightly vary because this is Natural Turquoise and Pearl. 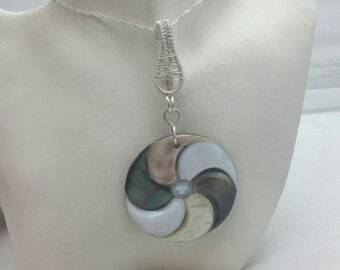 Also each Necklace is hand made to order.